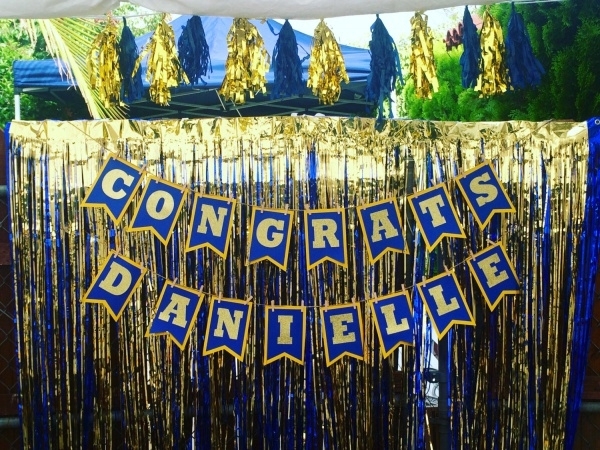 Banners are a great way to jazz and funk up the occasion and also to practice your design skills. 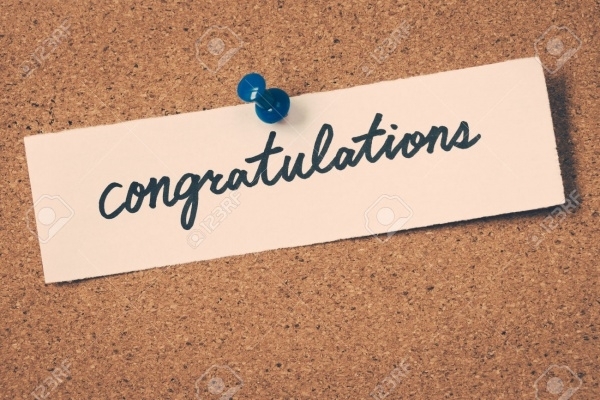 The theme of a banner can be of varied options ranging from a burger kind ad to a congratulatory banner for your friend. 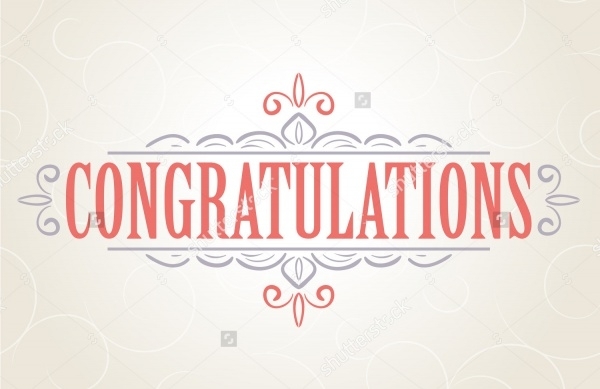 In this article, we have collected exactly these congratulations banner designs like graduation banner or wedding banner that are available on the net for you to download for free or for a minimal price and then to use them as one of your banner design. 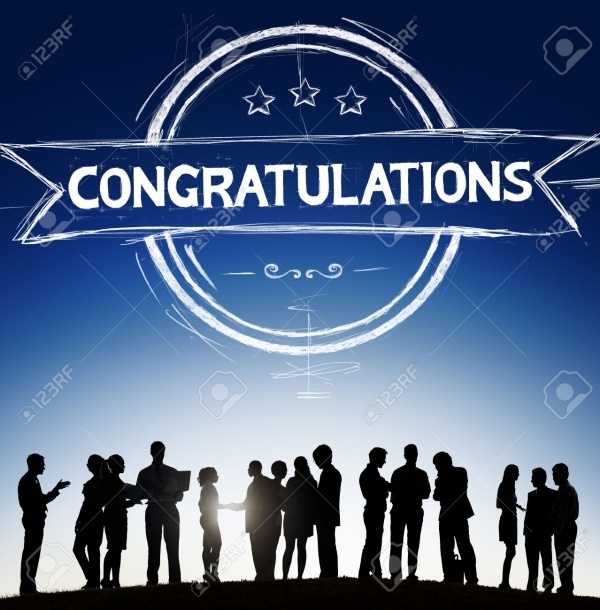 Scroll through the article to come across various congratulations banner design for various moments and themes. 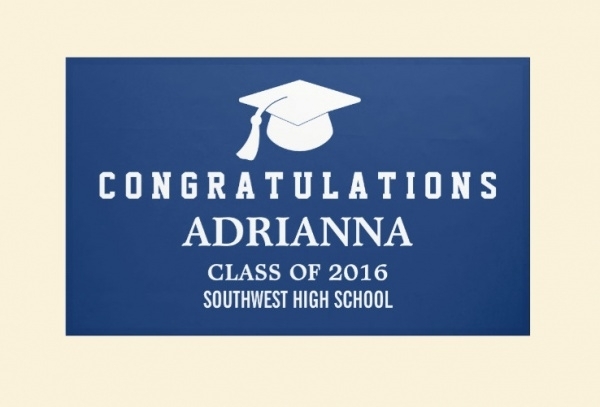 You may also see Graduation Banner Designs. 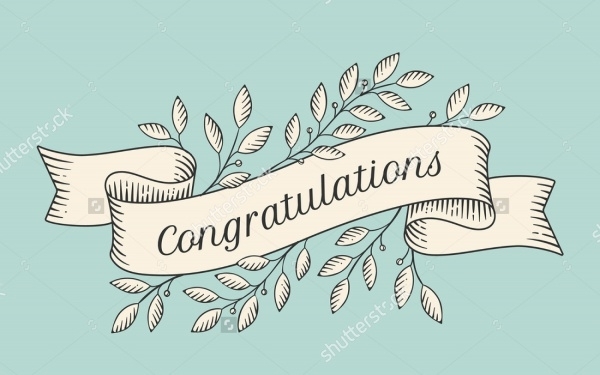 Here is a great congratulation banner design that has been created by the designer Carolina Buzio. 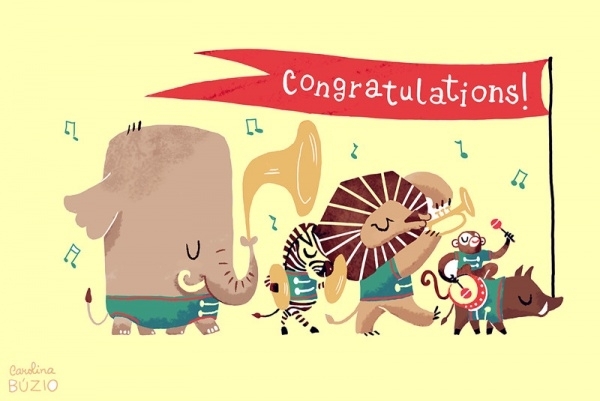 The design shows the required words along with an illustration of marching by animals playing different instruments. You may also see Baby Shower Banners. 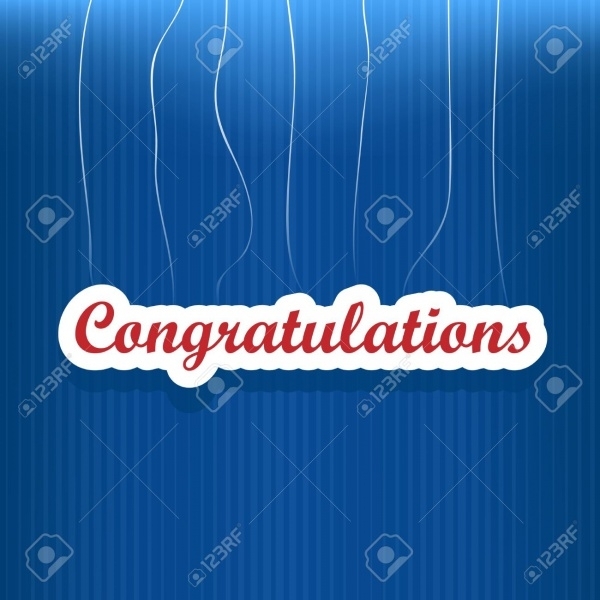 Check out this design of the simple text hanging using thread design on a blue background. You can look at this design to see how just the simple text can work so well, probably in a better novelty typeface. You may also see Welcome Banner Designs. 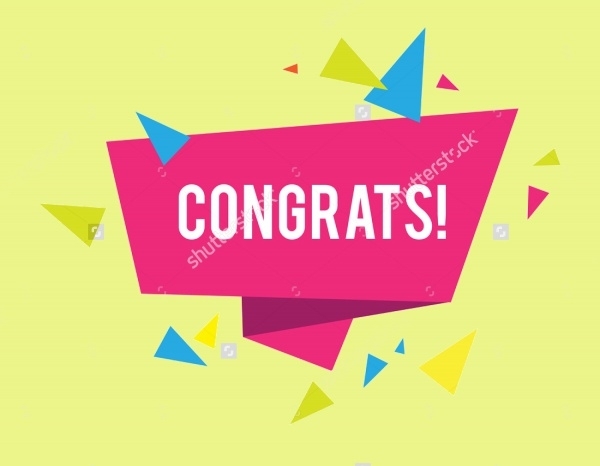 Here is a great greeting card design that you can download as a high quality stock vector illustration for free from the given link. You may also see Real Estate Banner Designs. Here is a design of a premium banner that you too can create with certain customization and changes easily. Have a look at this for a reference design in gold and glitter. 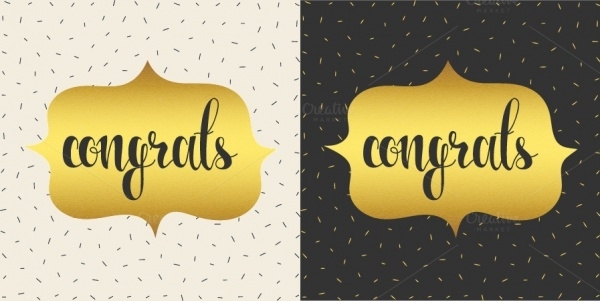 Use brilliant typefaces to create different mood for the congratulations banner. Using a font like this can give you a retro and vintage look to your banner design. And you can download this design as an editable vector for free. Like mentioned before, the choice of typeface can do a lot of things to your designs. 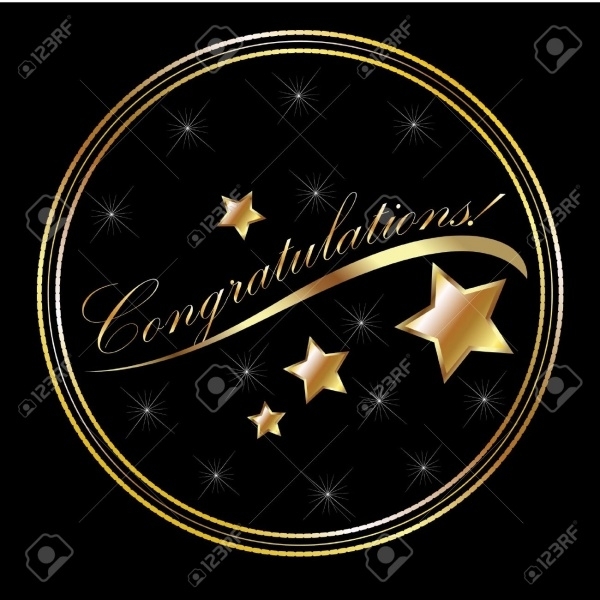 This one, for instance, uses font and artwork created in a chalk like finish that looks quite elegant on the black background. 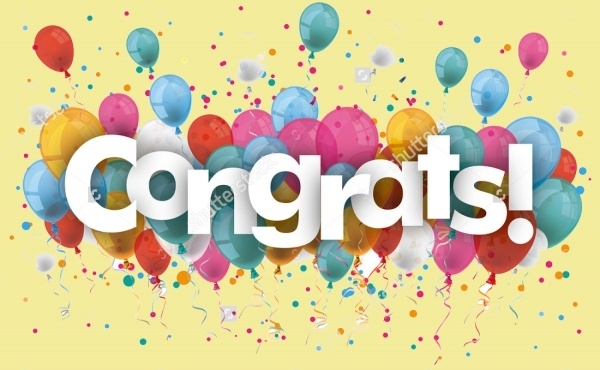 Congratulation celebrations are always filled with ribbons and balloons and can be done the same with the design as well just like this vector illustrations for a congratulation banner. 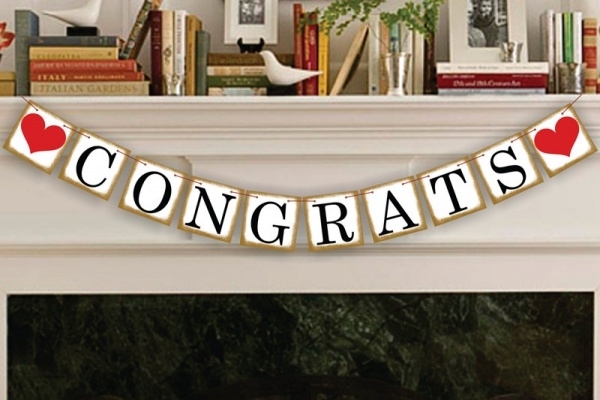 If you’re boy or girl and just graduating from college, you can have a congratulatory party and use this as the banner for the party. This too will probably be just a reference design for you as you might not be too keen on using this. The design can be isolated and used separately in case you want to work with this high quality vector illustration. 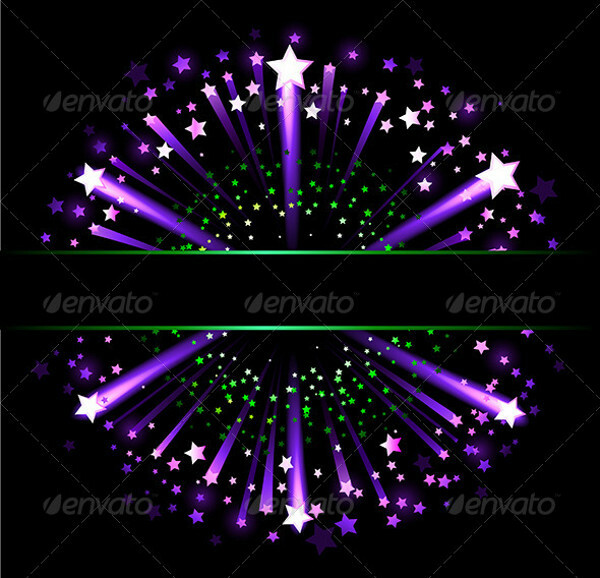 Check out this premium design for a banner that has the fireworks sparking from the design. You can download this design in various file format options depending upon your proficiency. 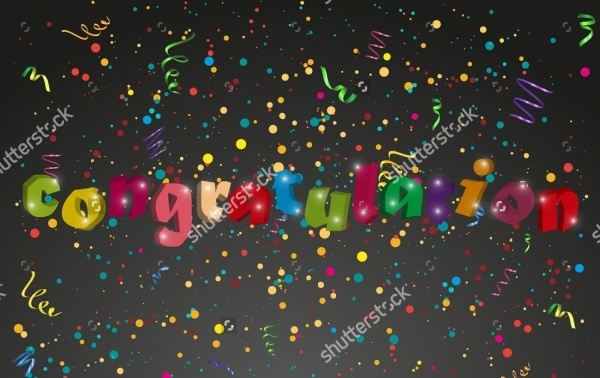 Here is another stock vector illustration that is available to you in high quality and for free to use as your congratulation banner added with colorful confetti going everywhere. 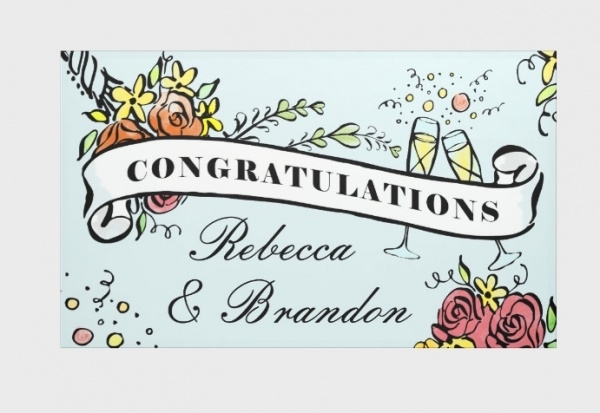 Congratulate your friends and loved ones on their special day with this banner sign that you can actually buy from the internet and get delivered at your doorstep. Graduation day is an important day for people who were a part of it. 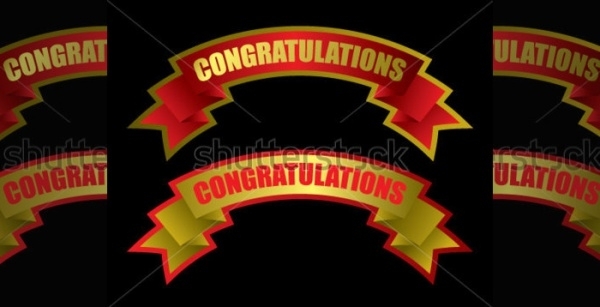 And on the final day, a congratulatory banner makes sense just like this design that you can use as a reference. Don’t just go for the conventional rectangular banner designs. Play around with your design imagination like this banner design in a round shaped golden frame. 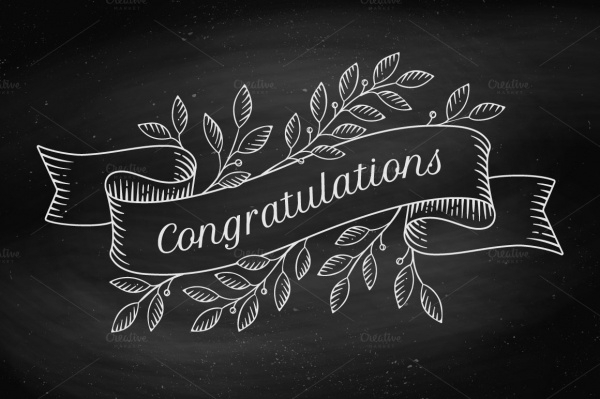 With these banner templates and mockups, you can easily design any theme and not just a congratulation banner. Also have a look at these school banner designs that you might find helpful for your future banner projects.